Kimbo, 2012. Chalk pastel on board, 12" x 9". The Centenarian, 2011. Oil on linen, 18" x 24". Private collection. Portrait of Ric, 2010. Graphite, 8" x 10". Private collection. 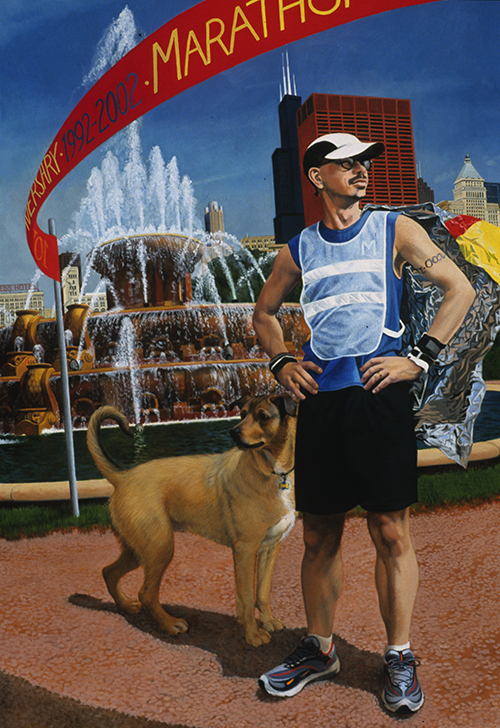 15th Anniversary Portrait: Verso, 2008. Oil on canvas, 36.25" x 52". Private collection. Portrait of Carson, 2008. 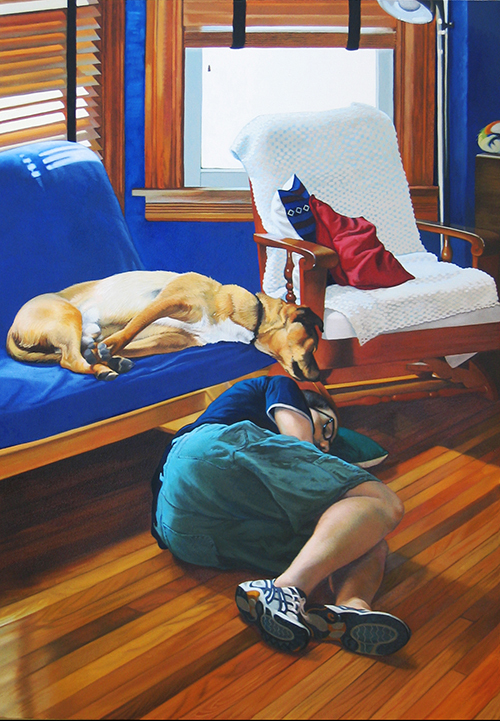 Oil on linen, 31" x 8". Private collection. 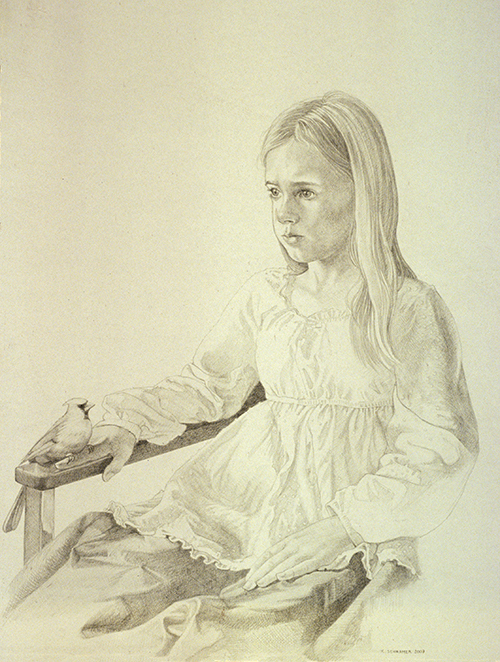 Portrait of Amalia P., 2007. Graphite, 18" x 22". Private collection. Portrait of Kevin K., 2006. Oil on canvas, 36" x 51". Private collection. 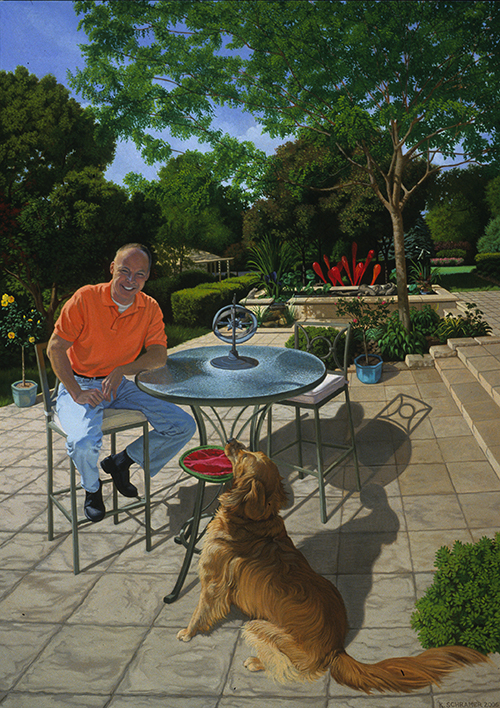 Portrait of Shadow, 2005. Oil on canvas, 8" x 10". Private collection. 10th Anniversary Portrait: Recto, 2004. Oil on canvas, 35.5" x 52". Private collection. Berquist Cabin, 2004. Oil on canvas, 36" x 20". Private collection. Grandma Mending, 2003. Oil on panel, 24" x 18". Private collection. 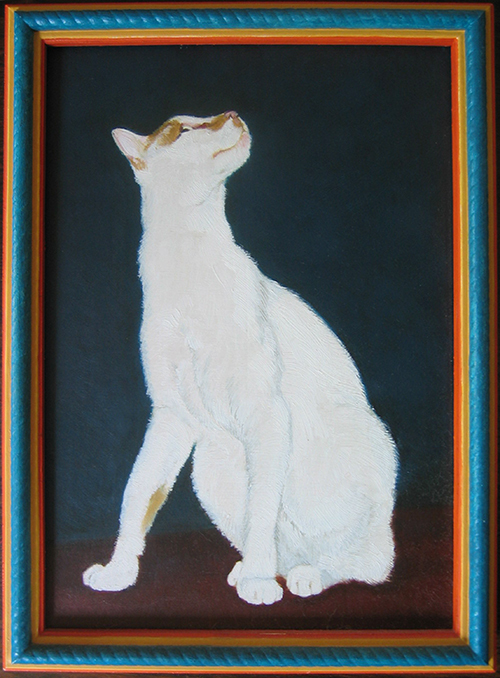 Portrait of Snoopy/Spell for Curing a Sick Cat, 2002. Oil on panel, 9" x 12". Private collection. 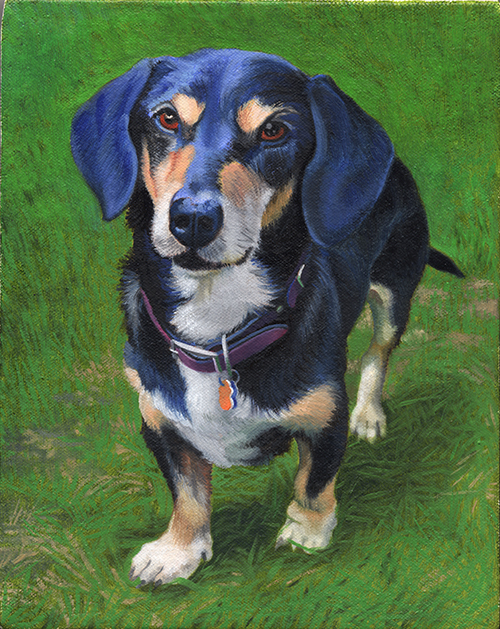 Portrait of Danka, 2002. Graphite, 8" x 9.5". Roberts Family Home, 2000. Oil on panel, 24" x 12". Private collection. Winston Family Portrait, 1998. Oil on linen, 48" x 48". Private collection. 5th Anniversary Portrait, 1996. Oil on panel, 12" x 12". Private collection. 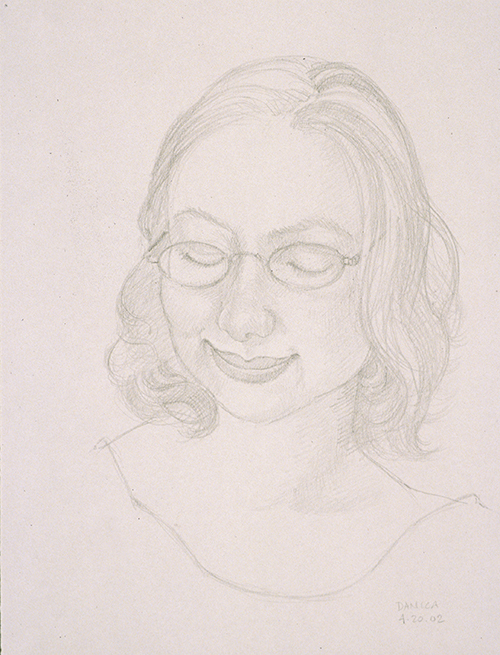 Portrait of Leslie S., 1996. Oil on panel, 9" x 12". Private collection. Self-Portrait on Washington Avenue, Brooklyn, 1994-5. Oil on canvas, 11" x 20". Private collection.